University is proud to announce that Lt. Frederick Bobbitt Jr. and Tony Silva, students graduating from the university’s Sacramento Academic Center’s Criminal Justice Management program, have each earned the Mark Dunakin Award in honor of their extraordinary achievements. Sergeant Mark Dunakin was a beloved officer, serving 18 years with the Oakland Police Department. On March 21, 2009, Mark was one of four OPD members killed in the line of duty by a parolee in the streets of Oakland. A student and part of the Union Institute & University family, he had just completed requirements for his criminal justice management degree at the time of his death. He was awarded his Bachelor of Science degree posthumously in July 2009 at the university’s commencement ceremony.  In honor of his service and sacrifice, Union Institute & University has designated the Mark Dunakin Award to be presented to a graduating student of Union Institute & University’s criminal justice management program. Recipients must serve in law enforcement and emulate Sergeant Dunakin’s commitment to community service, academic success, and enthusiasm for Union’s criminal justice management program. This year, Union Institute & University has selected two recipients of this esteemed award, Lt. Frederick Bobbitt Jr. and Tony Silva. Both awardees will be recognized as part of Union Institute & University’s Sacramento commencement on July 14, 2013. Lt. Bobbitt is the recipient of Union Institute & University’s Mark Dunakin Award for his extraordinary achievement throughout his undergraduate program. While deeply committed to his studies and earning a 4.0 GPA, he was promoted to lieutenant at Fremont Police Department. Lt. Bobbitt is an excellent student and well-respected in his career. He plans to continue his studies and pursue a master’s degree. Tony Silva, a 27-year veteran in law enforcement, was pursuing his studies when he was seriously injured in the line of duty in December 2012. While in the hospital with multiple leg fractures he continued his academic studies. He was selected by Union Institute & University faculty for his deep commitment to law enforcement and his perseverance in the face of adversity. Union Institute & University’s California commencement ceremony will be held 11am-2pm, July 14, 2013 at the Sacramento Convention Center Ballroom. Kay C. Goss, emergency management expert and president of World Disaster Management, LLC will be the event’s keynote speaker. Learn more about Union’s Bachelor of Science in Criminal Justice Management program.